In school building. If you live in 61350 zip code we can pick you up from home and drop you off at home for your driving lessons (at no extra charge!). 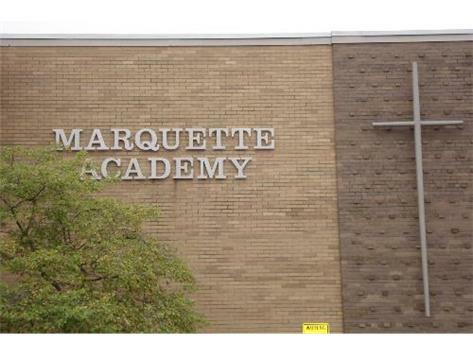 All other driving lessons will start and end at Marquette Academy. At Top Driver’s driving school Ottawa location they use the very latest techniques to teach future drivers to be safe and intelligent while on the road. All of Top Driver’s driving schools use their proprietary Ignition curriculum and the driving school in Ottawa does an excellent job. The wonderful drivers ed instructors keep students engaged during classes by leading interactive discussions, which have shown to increase the amount of information retained by students. During the in-vehicle sessions our driving instructors work closely with students to get them to be safe confident drivers who are prepared for their driver’s test. Our driving school in Ottawa has many different time options for our courses, from evening to weekend slots we have a time to fit every schedule. Even busy students are able to find a class time that works around their schedule. For teams and groups are able to set up custom classes so the group can all take drivers ed together and work it around their practice schedules.